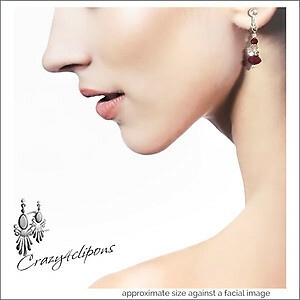 Features: Luscious extra small clip on earrings. 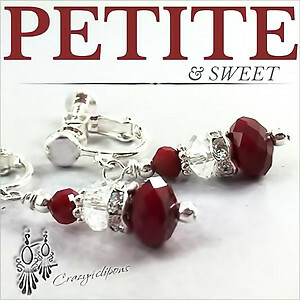 Gorgeous red-crimson faceted Czech crystals are paired with sparkly crystal/silver rondelles and sterling silver daisies for this small clip-on earring design that exudes Holiday cheers! 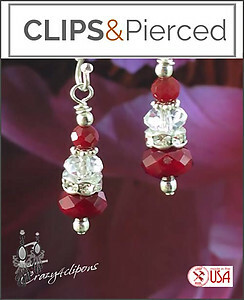 Specs: Clear and red Czech crystals, crystal rondelles, sterling silver daisies and seeds.